I love the versatility of eggs. They are the ultimate food that can be enjoyed for breakfast, lunch, dinner and as snacks. But, taking the time in the morning to prepare egg recipes that the whole family will enjoy can be challenging. 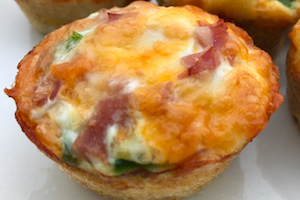 To simplify the morning chaos, I like making these egg muffins to accommodate everyone’s egg preferences.